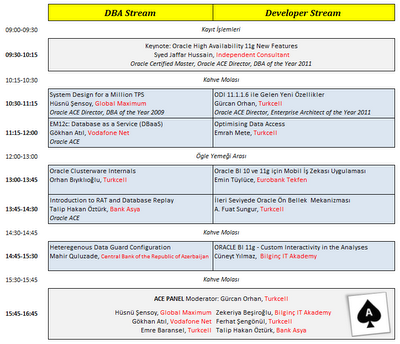 Turkish Oracle Users Group's the largest event of this year TROUG Day'12 will be at 11th October 2012 in Bahcheshehir University / Besiktas Istambul. The event is starting with OCM, Oracle ACE Director, DBA of the Year 2011 - Syed Jaffar Hussain's "Keynote : Oracle High Availability 11g New Features" speech. 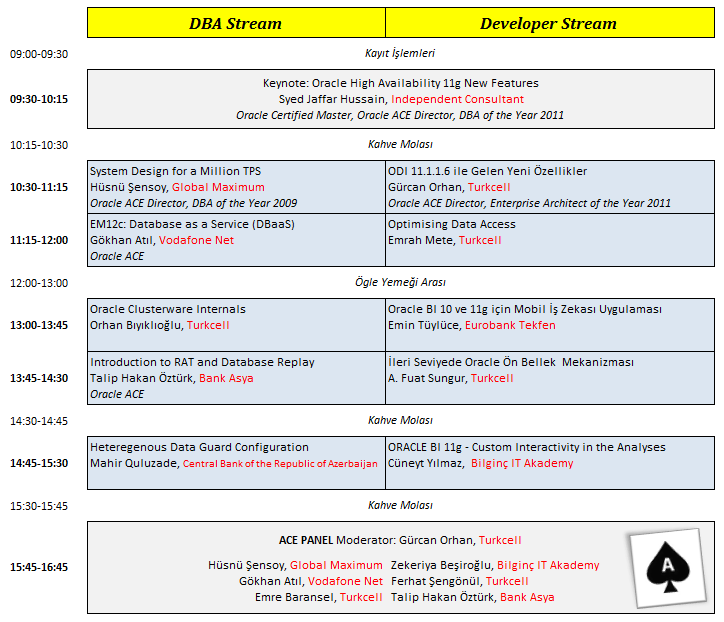 Event will continue with two parallel sessions for DBAs and Developer. I will be attended to TROUG Day'12 and my session will be at 14:45 - 15:30 and I will speak about "Heterogenous Data Guard Configurations". I am very glad that there will be an opportunity to meet and talk with my friends during the event.